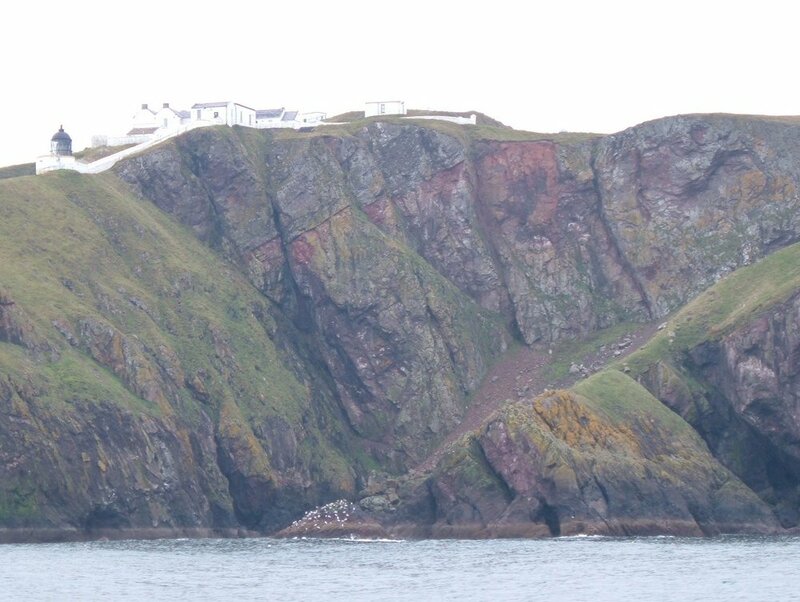 St Abb’s Head. Photo: Angus Miller. outside the St Abb’s Visitor Centre, Coldingham Road, St Abbs TD14 5PL (note this is the Visitor Centre in the village, not to be confused with the National Trust for Scotland Visitor Centre at Northfield). along the coastal path to the lighthouse, return by the road. 6km with 160m of ascent. On good paths that may be rough or slippery, with steep ascent / descent in places. The route follows a cliff-top path, at times close to the edge of the cliff. Wear good footwear and keep back from the cliff edge. At the Ebba Centre near the start and end of the walk. 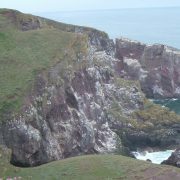 Join an expert geologist for a walk around St Abb’s Head and explore the story of the volcanoes that erupted here 400 million years ago. This excursion is a partial replacement for the September excursion led by Simon Cuthbert, which had to be cancelled at short notice. We hope to run another full excursion in the spring: this informal, shorter excursion is planned as a basic introduction to mapping that will complement any future mapping excursions. 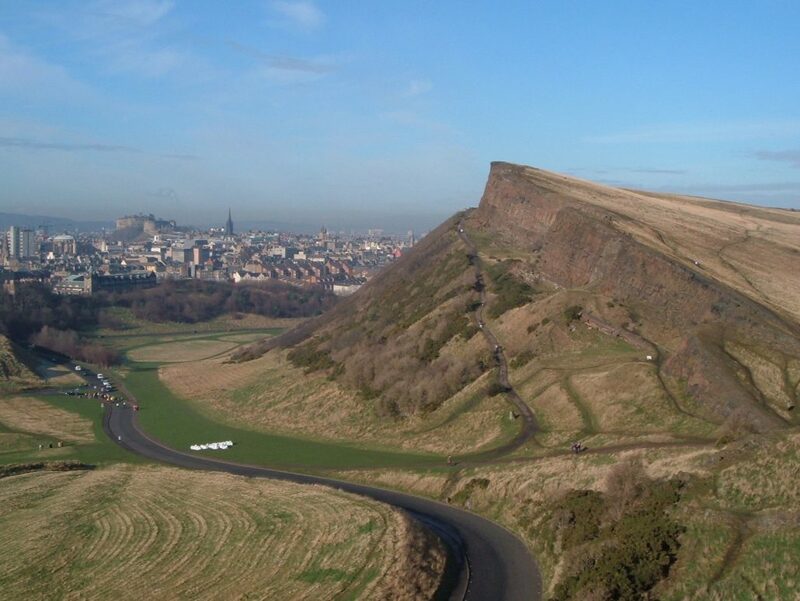 Holyrood Park in Edinburgh offers a superb section through varied geology, including the eroded cone of the Arthur’s Seat volcano, a major dolerite intrusion that forms Salisbury Crags, and exposures of sandstone and other sedimentary rocks formed early in the Carboniferous period. 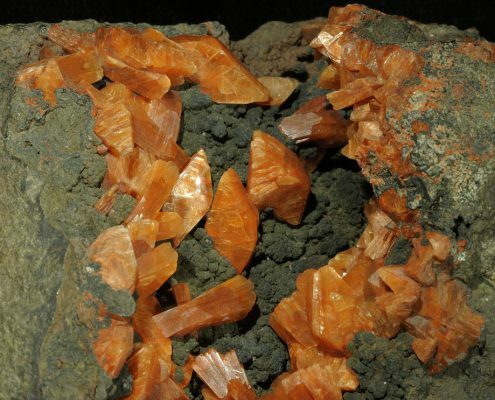 This excursion will introduce the main features of the geology but encourage deeper understanding by learning how to create a geological map of a small area. Participants will learn the basics of making measurements in the field using a compass-clinometer, analysing rock exposures and recording information in a field notebook and paper map. Equipment: You will need warm and waterproof clothing including stout footwear, and should bring a notebook, pencil, and a map board (A4 clipboard will do) and a large clear plastic bag. If you can, please also bring a selection of coloured pencils, a hillwalker’s compass, or a geologist’s compass clinometer if you have one. Dynamic Earth cafe, Holyrood Road, Edinburgh EH8 8AS – parking available at Dynamic Earth or in Holyrood Park. 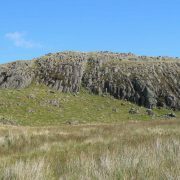 The route is not fixed in advance, but will involve walking on paths and some sections of rough ground, with some climbing. However the total distance covered will not be more than a few kms with frequent stops. 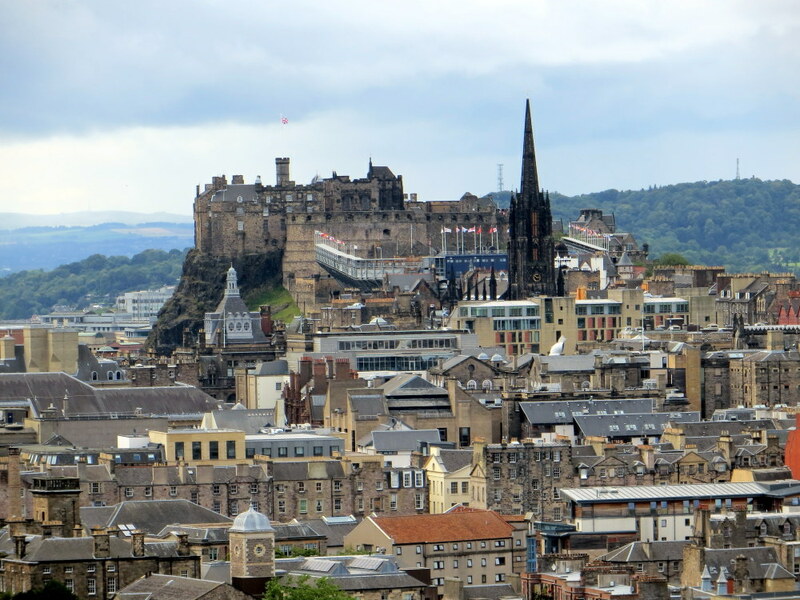 The dramatic and beautiful city of Edinburgh is draped over an impressive topography that reflects a variety of bedrock formed by different processes and a long story of erosion, particularly during the Ice Age of the last 2 million years. In the city and in the surrounding countryside, this geology and topography has been used by people over thousands of years, in many different ways: for habitation and defence, farming and fuel and as inspiration for a rich culture. 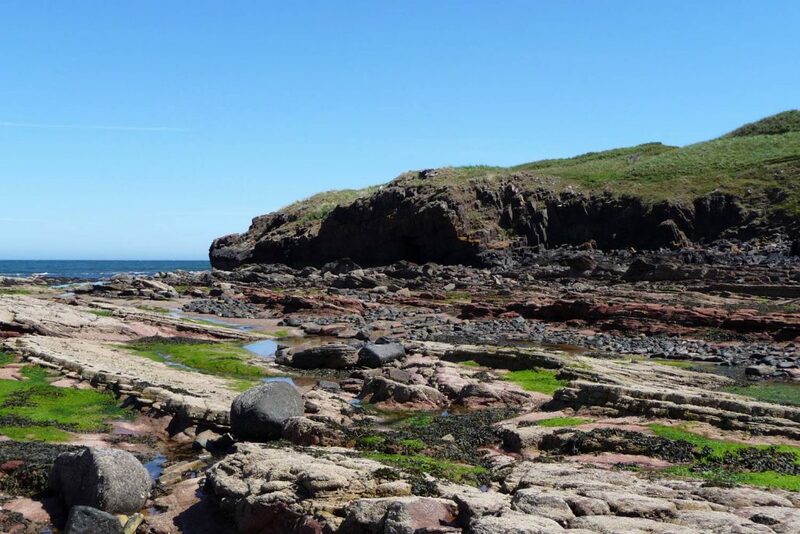 It has inspired great geological thinkers too, especially the father of modern geology, James Hutton, who spent most of his life in Edinburgh and discovered one of the world’s most significant geological sites at Siccar Point. This remarkable story of geology and people has resulted in many EarthCaches being established in the city and the surrounding area. 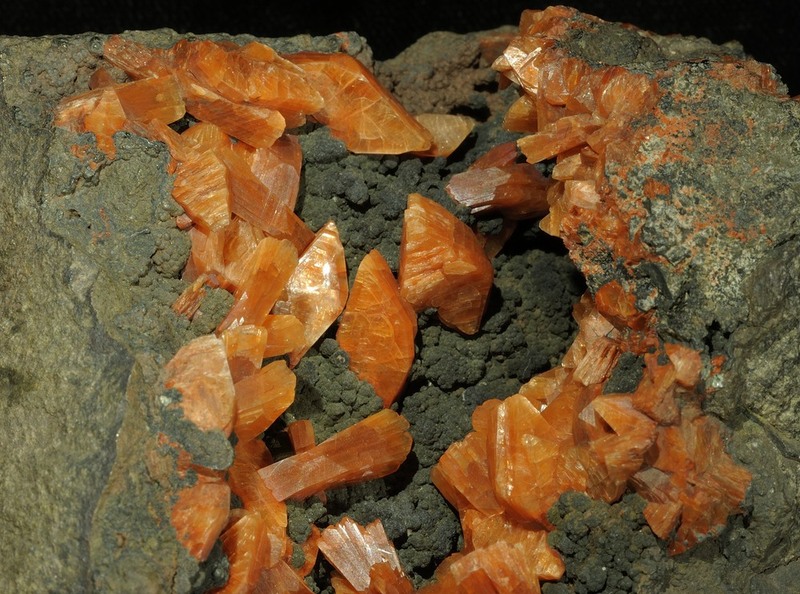 An EarthCache is a specific location that people can visit to learn about geology. EarthCaches are part of geocaching (an adventure game based around the use of GPS to find caches of small hidden treasures) but an EarthCache doesn’t involve a physical cache, rather it involves visiting a specific location and learning about our planet. 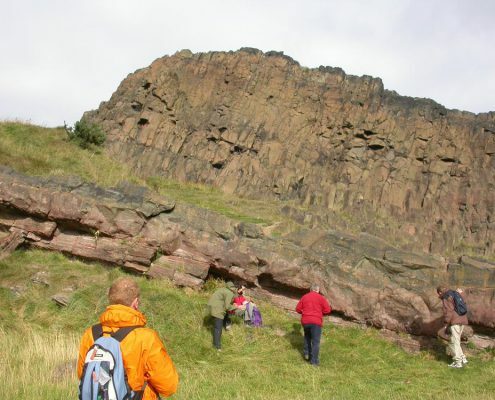 Existing EarthCaches in Edinburgh explore the geology of important sites such as Siccar Point, Holyrood Park and the Pentland Hills, and the human story of geological investigation and the use of materials. 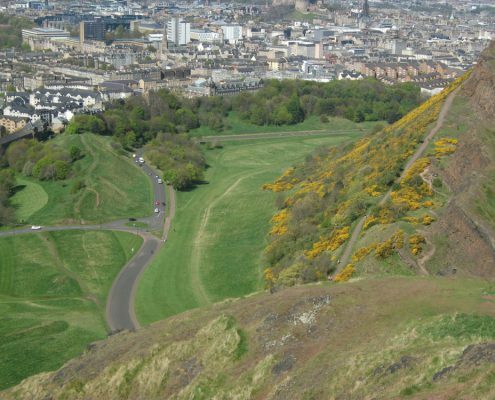 To celebrate this, Edinburgh Geological Society is hosting a weekend of events focussed on EarthCaches. 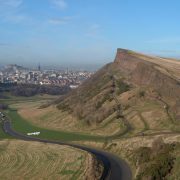 If you have any questions about the weekend, please contact Angus Miller, EGS Promotion Secretary, promotion@edinburghgeolsoc.org. 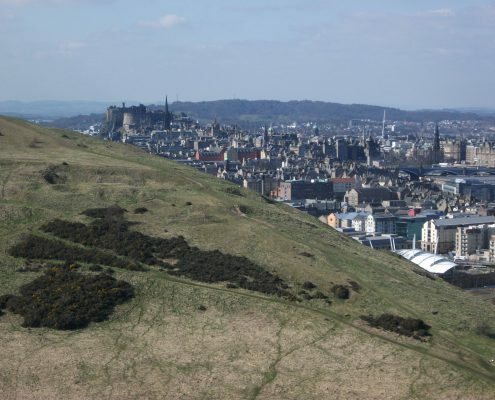 We have made a special Edinburgh Earthcache Geocoin. This is an attractive trackable silver coin, which is available for direct sales at EGS events or by mail order. 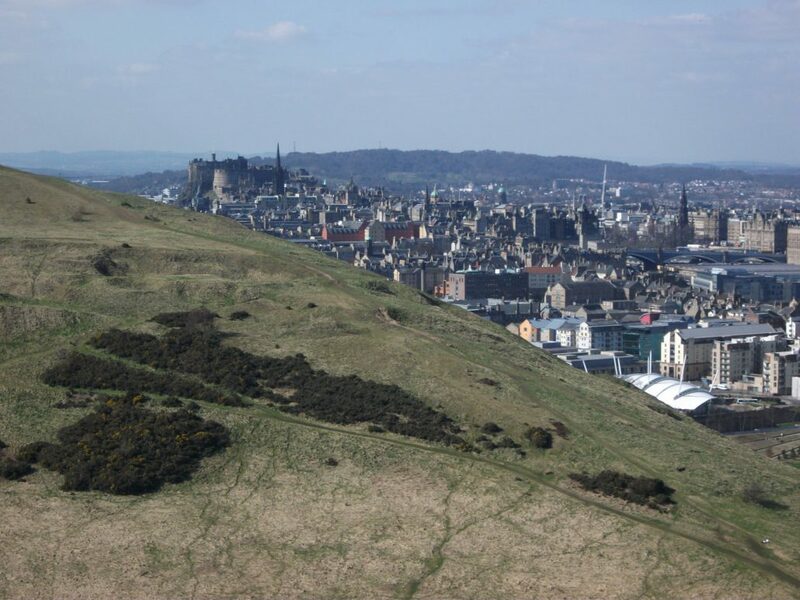 You can order an Edinburgh Earthcache Geocoin here. 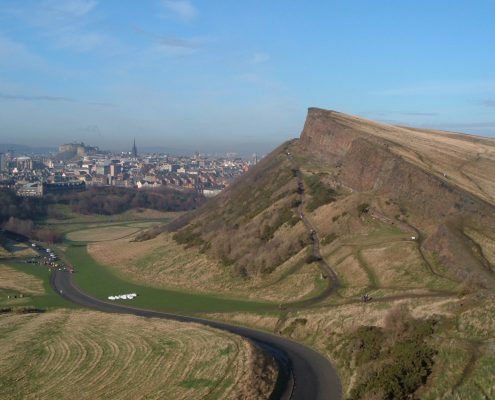 The Society will welcome visitors to the city with an informal lecture that explores the geological story of Edinburgh and the surrounding area. 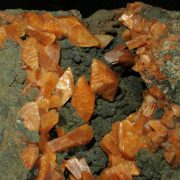 Experts will be on hand to chat and answer questions, and help plan your EarthCache explorations. Venue: upstairs meeting room, Costa Coffee Hanover Street, Edinburgh EH2 2DL. 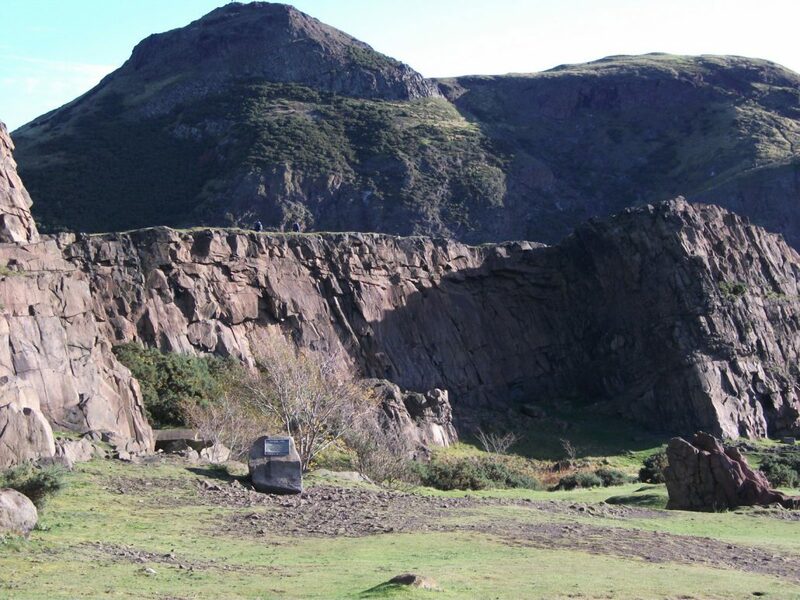 Holyrood Park and Arthur’s Seat contain some spectacular geology in the heart of the city. There are more than 10 EarthCaches in the immediate area for you to explore. If you are new to EarthCaching, volunteers will be on hand to tell you more and point you in the right direction. To the east of Edinburgh there is some beautiful countryside and coast with some fantastic varied geology and many EarthCaches. 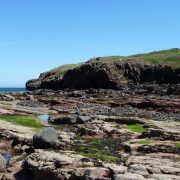 This coach tour from the city centre will visit several EarthCache sites, including an EarthCache Event at Barns Ness, East Lothian and the world-famous unconformity at Siccar Point. around the village and the harbour. about 1km with some steep slopes, on pavements and quiet roads. Steep drops into the sea at the harbour. Traffic. Wear good footwear and keep back from the harbour edge. 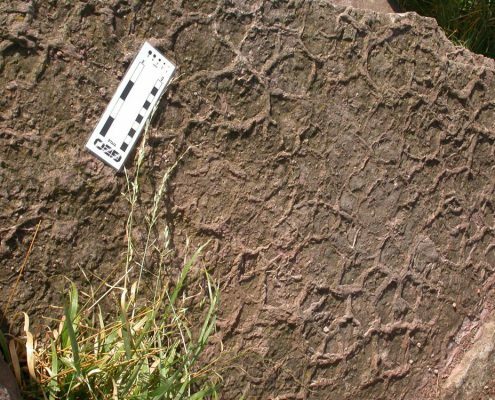 Join an expert geologist for a walk around the village to explore the story of the volcanoes that erupted here 400 million years ago. 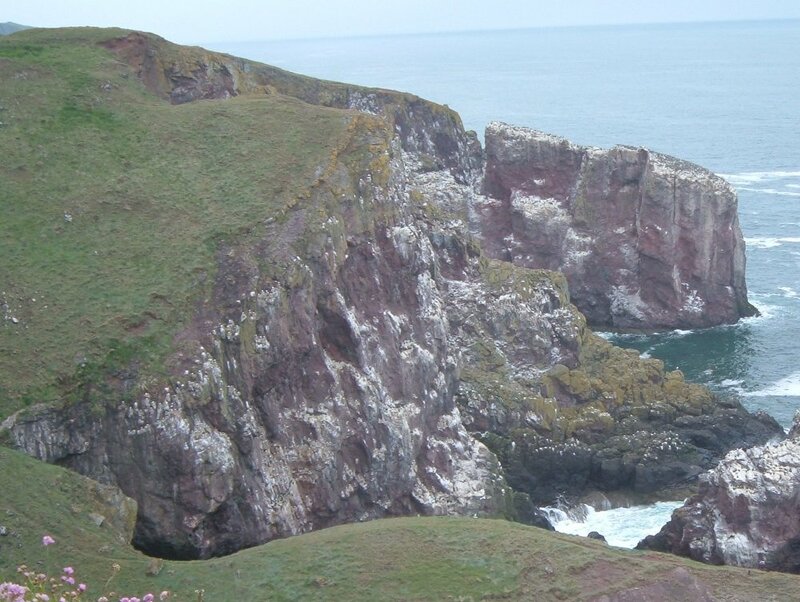 Spireslack is a stunning exposed section of an important coal-bearing sequence, unparalleled in Scotland. 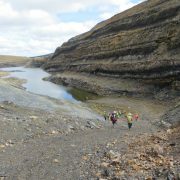 More than one km long, the 80 metre deep canyon is cut into a gently-dipping succession of Carboniferous-age strata that includes economically valuable coal, ironstone and oil shale. 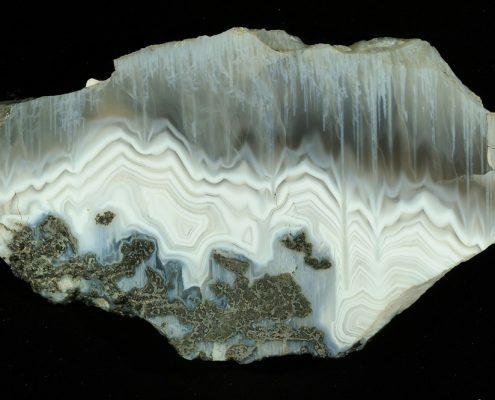 This excursion will enable close-up examination of the different strata including their sedimentology, structural geology and palaeontology, together with issues relevant to applied geoscience and mining. 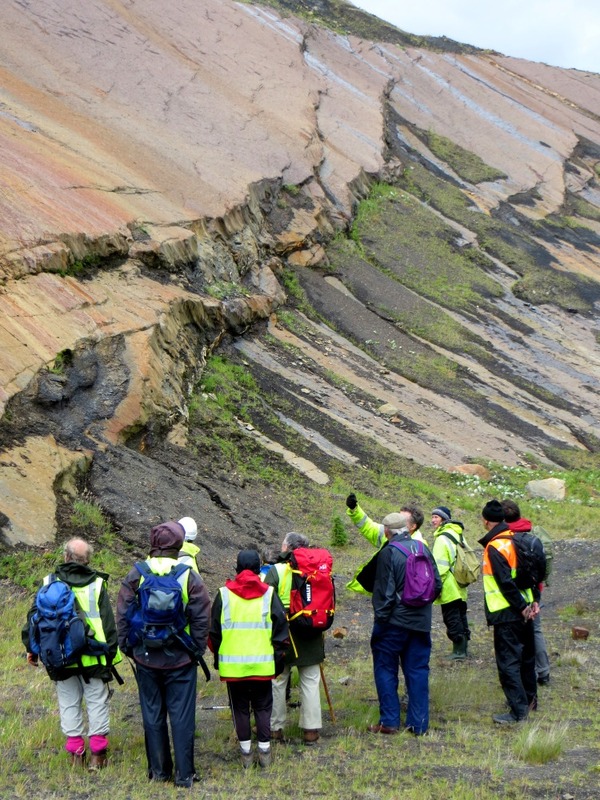 To examine the Carboniferous geology of these important Scottish coal-bearing sequences, sedimentology, structural geology, palaeontology; seeing the Lawmuir, Lower Limestone, Limestone Coal, Upper Limestone and Passage Form formations. Comiston Road and Fairmilehead (waterworks); Biggar or Douglas if required. Spireslack OSM, [NS 746 305], entrance gate to site is a right turn heading west on A70 just after Glenbuck Loch. Strictly controlled by leaders on site. Site is now an inactive opencast surface mine, with trackways and uneven worked ground underfoot locally. Height is some 100-150 m, over 1 km walking distance, and return. The scale of exposed sections is unparalleled in Scotland. 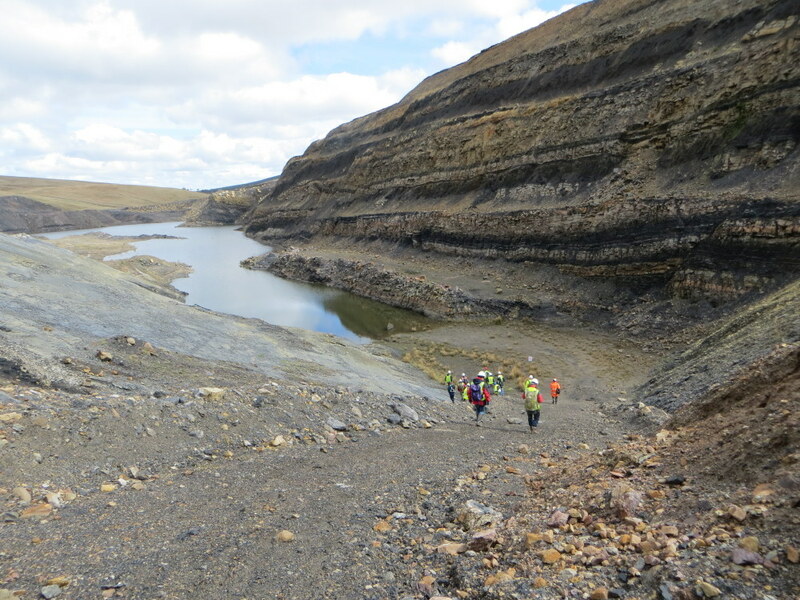 Access/progress on site will be strictly managed by leaders to enable maximum visibility of key geological features. Controlled access to key outcrop where safe to do so. There will be no access to, or beneath, engineered faces. Binoculars will be an advantage. Hard hats and Hi-viz required. Stout footwear is a requirement (steel toe-caps are not necessary). No trainers. At coffee-stop in Douglas village – no facilities on site. Leslie and Browne, 2016. Spireslack Canyon, Geoscientist, 26, 10-15. 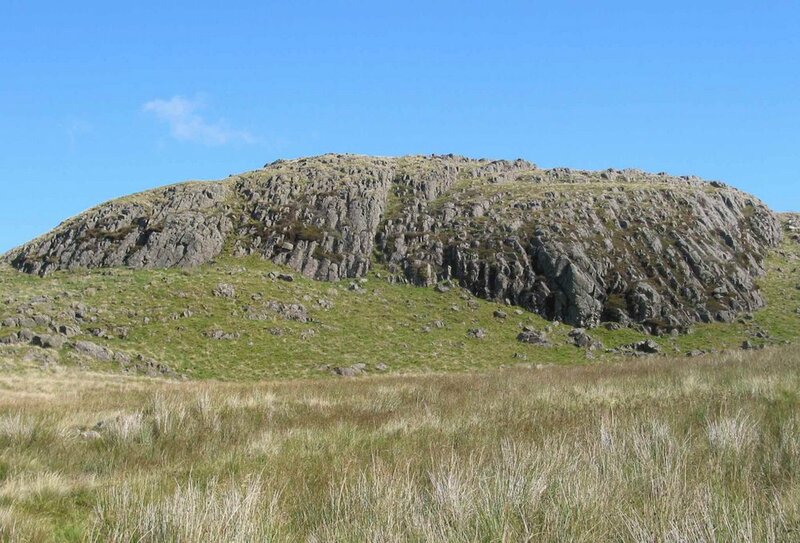 The Fintry Hills are part of the Clyde Plateau Volcanic Formation to the south-west of Stirling, and show good examples of varied basaltic igneous rocks that formed close to eruptive centres, in a landscape of craters and cinder cones. 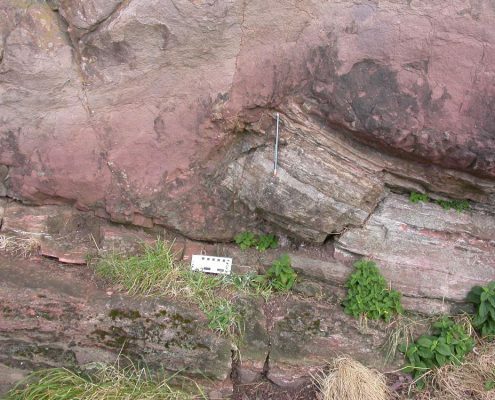 As well as the igneous rocks, we shall also be looking at Carboniferous sedimentary rocks of the Clyde Sandstone Formation and the Ballagan beds. Afternoon tea afterwards at Fintry village sports club. See Excursion 10 in the Stirling & Perth Excursion Guide (Browne & Gillen, 2015, published by EGS). From village head south uphill past quarry entrance. Follow track across stream and into Fintry Wood. Walk to and along Kilewnan Burn. Walk up hill to top of Dunmore, then downhill and across hillside slope towards Fintry quarry. Walk on footpaths, 4km total; hill ascent to 250m; walk along stream section; visit to old quarry. www.plotaroute.com/route/354799. Toilets available in Fintry at start and finish. 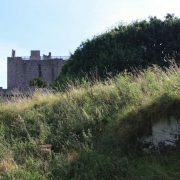 This field trip offers excellent exposure in a great coastal setting with views to the islands in the Forth. 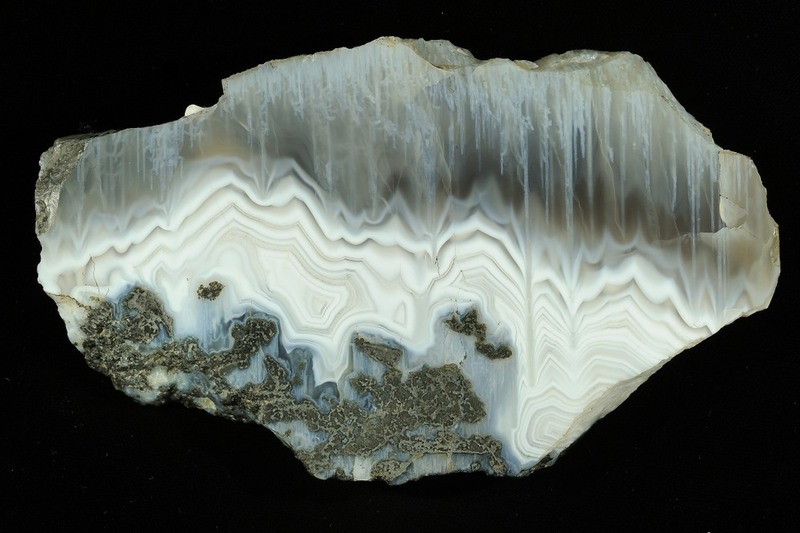 We will examine Lower Carboniferous sedimentary rocks that are thought to have been deposited in a lagoonal setting with periodic higher energy deposits overlying. The igneous rocks get top billing however, with a sill, plug, dykes and some ash to examine, all of alkaline composition and some with evidence of phreatomagmatic activity and other textural features. Field relationships are very clear and this trip offers a good opportunity to bring together the regional geological story. Waterloo Place 10 am or John Muir Country Park, car park by Tyninghame Links, NT 627 809 at 11 am. We will walk from the car park to the first left turn to take us on to the beach on the west of St Baldred’s Cradle headland, and will proceed further west to the moderate cliff section by Bathan’s Strand (NT 631815). We will then turn to walk east towards the headland, examining rocks in the intertidal zone en route. We will look at the east side of the headland, then go on to the headland itself (NT637814), then drop down to its west side looking at several closely spaced localities there. We will take the path back across the neck of the headland (NT 636810) or, if time allows, we may walk further to pick up the path at (NT633806) which takes us straight back to the car park. The terrain is fairly level for most of the trip, along paths and on the beach and the total distance is about 4 miles. There will be some walking on slippery rocks in the intertidal zone however. 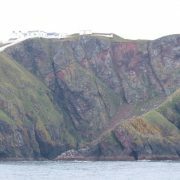 There will also be a very small climb on to and down from the headland which is only about 15m high. There is a risk of slipping on wet rocks in the intertidal zone. I will warn people that the rocks in the intertidal zone are slippy. I will point out that seaweed covered rocks should not be stepped on and should be avoided. I will look for routes that minimise the need to walk on such surfaces. 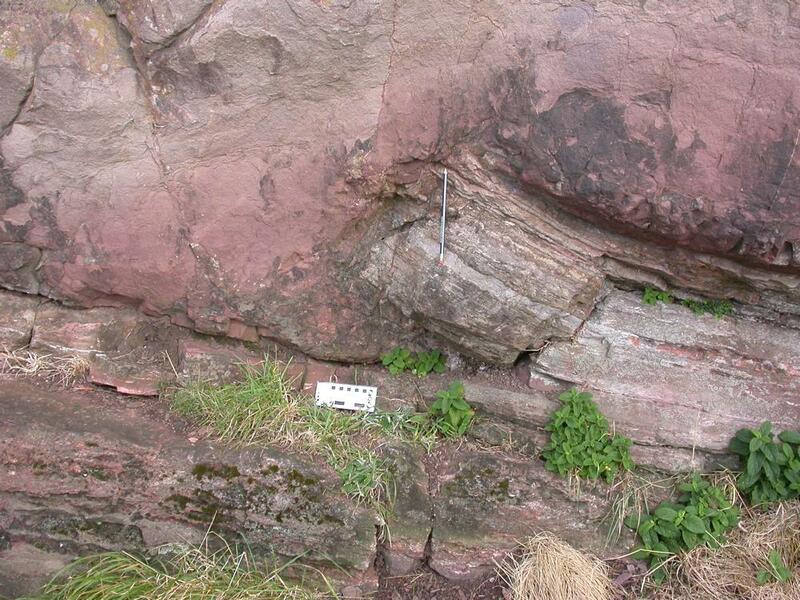 Lothian Geology – an Excursion Guide (Edinburgh Geological Society) p.101. 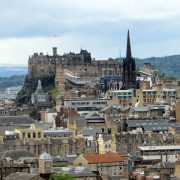 This excursion will offer the opportunity to examine some of the building stones of 17th to 20th century buildings on the walk from Lothian Road to the Lawnmarket. We shall also see the crag of the famous crag-and-tail of the Castle Rock and consider various interpretations of its origin. 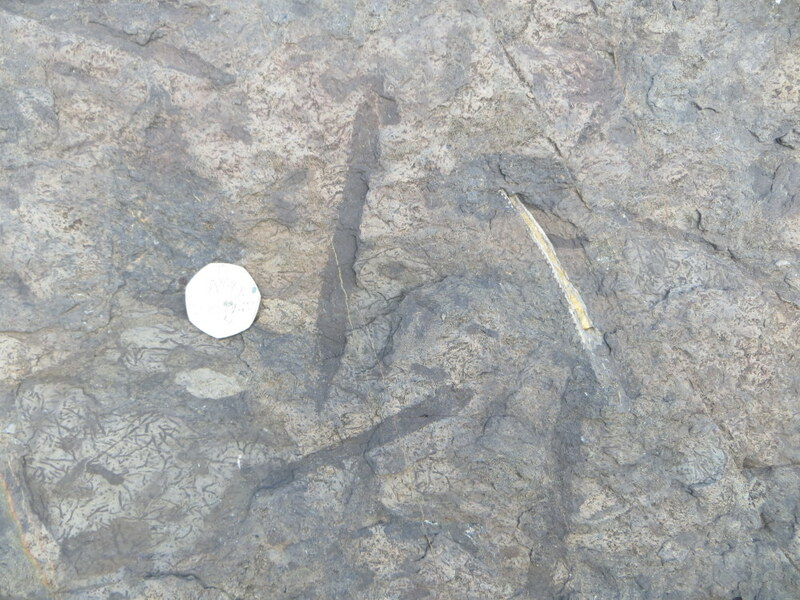 Contacts between the basaltic plug of the Castle Rock and early Carboniferous sedimentary strata into which it was emplaced will also be seen. Hi-viz vests desirable; leader will wear his. 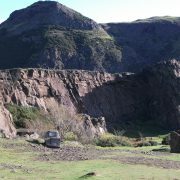 Craigmillar Castle Park: Geodiversity and geoheritage in disused quarries in the Kinnesswood Formation. 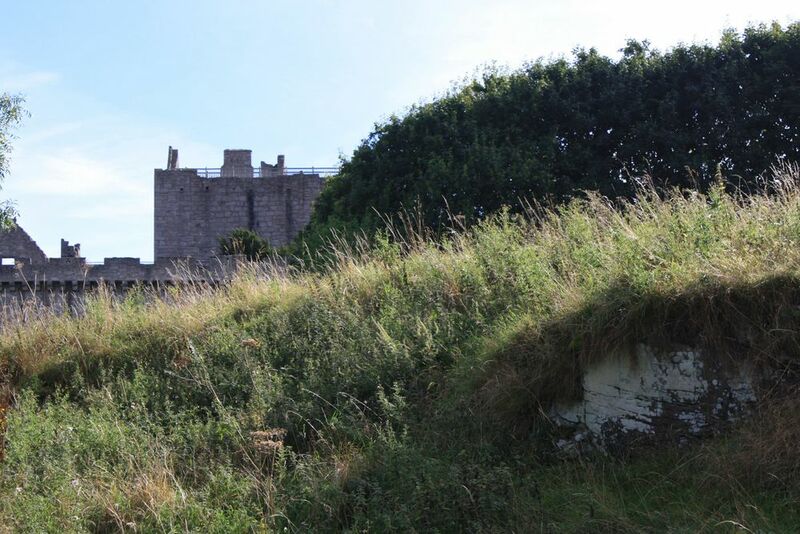 Sandstone was extracted from several quarries close to Craigmillar Castle from the 14th century and used for building stone around Edinburgh and beyond. 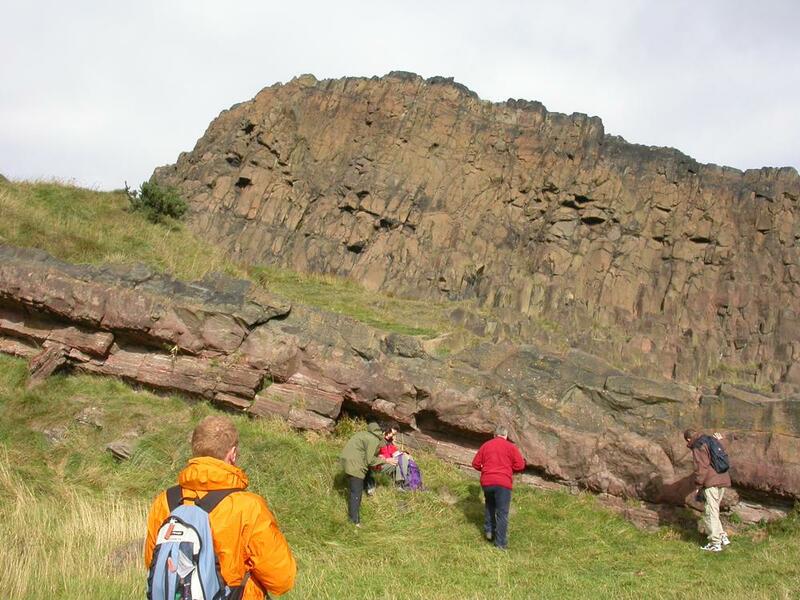 This excursion through Craigmillar Castle Park will visit the remaining quarries and examine exposures of the Kinnesswood Formation rocks, from the early Carboniferous. 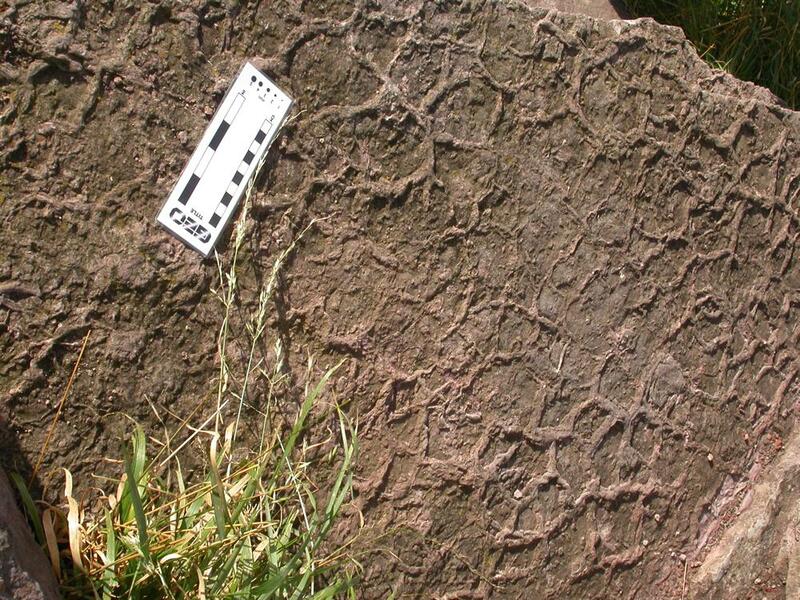 Sedimentary structures and variation in grain size can be observed, suggesting varying depositional energy of different beds. 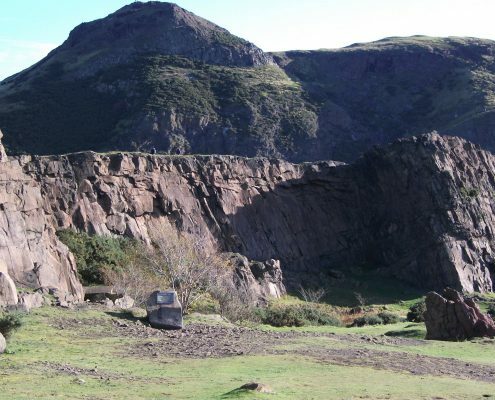 The quarries were worked only intermittently in the late 19th and 20th centuries, and give good examples of how old quarries are expressed in the landscape after they fall into disuse. 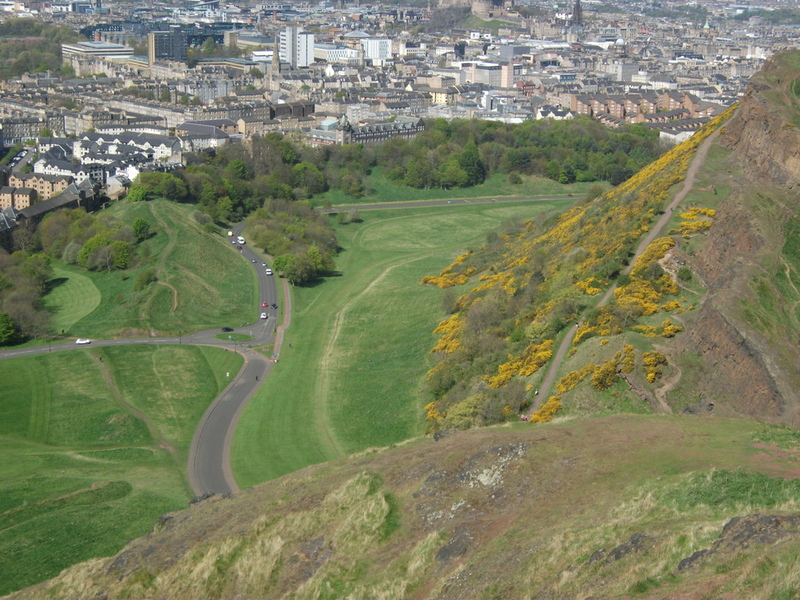 A new Lothian and Borders Geoconservation leaflet is planned for this area. Lothian Bus 33 service to Old Dalkeith Road. Numerous buses to Cameron Toll. Innocent Railway and other cycle routes to Craigmillar. Car parking is available. From the Old Dalkeith Road we will proceed across Craigmillar Castle Park to the Hawkhill Wood quarry area to examine the 3D exposures there. Return to arc of quarries to north of Craigmillar Castle and then cross into woodland path to examine exposures beside steps. Proceed down steps to rejoin path on southern edge of Recycling Centre then final locality near the pedestrian entrance to the park from Old Dalkeith Road. Return by paths to start point. Road crossing on Craigmillar Castle Road. Use pedestrian crossing on cycle route. Public toilet at Cameron Toll. The National Museums Collection Centre at Granton houses a huge collection of important mineral and fossil samples. 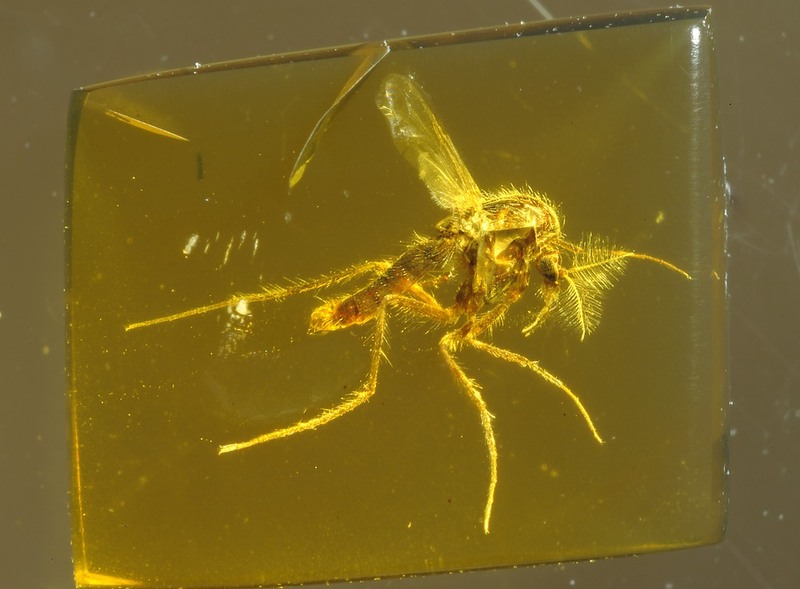 The visit to the Collection Centre will allow small groups to explore in detail elements of the Palaeobiology and Earth Systems collections. 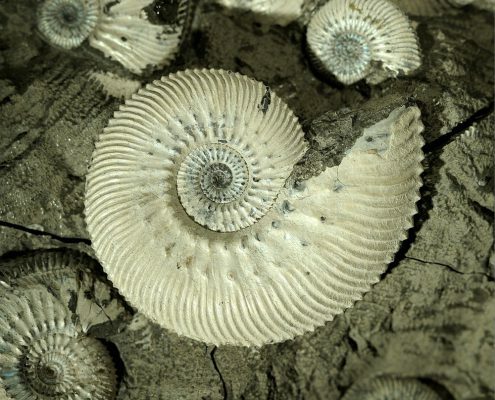 This will be followed by an afternoon excursion to Wardie Shore, an important historical location for Carboniferous fossil fish. 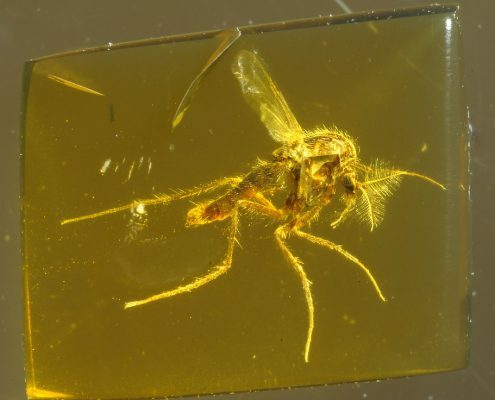 The visit and excursion are being hosted by the Natural Sciences Department of National Museums Scotland. For the afternoon excursion, meet at Wardie Shore at 1pm. The rocks may be slippery, so good footwear is essential. Bring gloves and wipes since the foreshore is not particularly clean. This is a Site of Special Scientific Interest, so no hammers.